CPR or Cardiopulmonary Resuscitation is one of the integral parts of life-saving measures when it comes to healthcare. It involves a series of continuous chest compressions, securing the patient’s airway and providing respirations if necessary. CPR is just one of the many medical interventions that can save a person’s life. All of those practices are now integrated in a course known as Basic Life Support or BLS, for short. Basic Life Support or BLS is a set course that is practiced my healthcare professionals all over the world. It involves provision of medical care in an effort to save a patient’s life from threatening illnesses or injuries that he or she might have incurred. Basic Life Support is one of the most important credentials that a healthcare professional should have as it involves learning life-saving medical interventions that may occur inside or outside the hospital setting. This training is taken by physicians, nurses, pharmacists, paramedics and other healthcare professionals but it can be taken by laypersons for their own benefit as they are given the knowledge and skills on how to save another person’s life. Cardiopulmonary Resuscitation or CPR is one of the main components of Basic Life Support. It involves delivering chest compressions at a prescribed rate and also delivering breaths to a person who has experienced cardiac arrest. The common sign that rescuers look for in these patients are unconsciousness, absent heart rate and cessation of breathing. 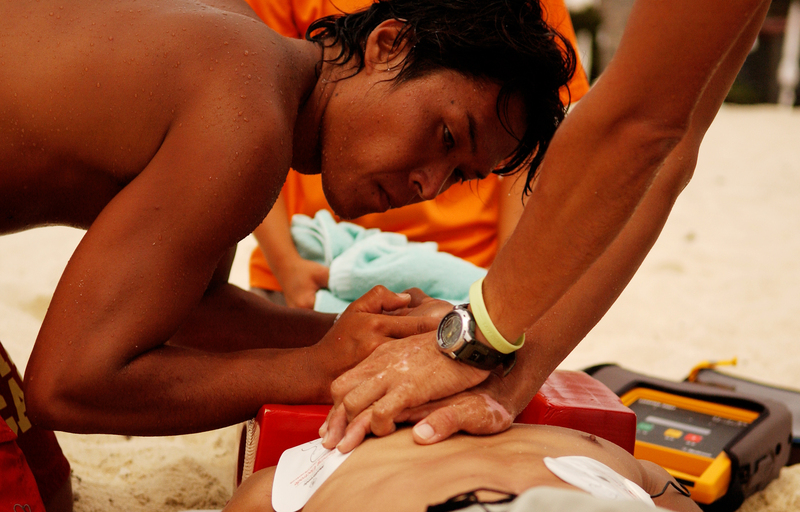 Basic Life Support also answers the need for patients who experience drowning and choking. It also serves as a prerequisite to a number of advanced healthcare courses such as Advanced Cardiac Life Support or ACLS and Pediatric Advanced Life Support or PALS. CPR focuses on three priorities, mainly: Circulation, Airway and Breathing. The order is set in such a sequence, CAB, as the update of the American Heart Association has found out that early initiation of chest compressions has a higher chance of saving a person’s life rather than securing an airway, contradicting the past algorithm which was formerly ABC or Airway, Breathing and Circulation.